The Barcelona star was left out of three international squads after Argentina's disappointing display in Russia and had given little indication as to whether he would return. However, with this summer's Copa America on the horizon, Messi will return for friendlies against Venezuela (in Madrid) and away to Morocco later this month. West Ham midfielder Manuel Lanzini, who suffered a knee ligament injury as Argentina prepared for the World Cup, also returns to the squad. Lanzini made his first appearance of the season for West Ham against Fulham last month, before starting a game for the first time against Newcastle last weekend. Manchester City defender Nicolas Otamendi and Watford midfielder Roberto Pereyra were also included in Lionel Scaloni's squad. Argentina's shambolic performance at the 2018 World Cup led to head coach Jorge Sampaoli being replaced by Scaloni, whose interim appointment has been extended until after the Copa America. 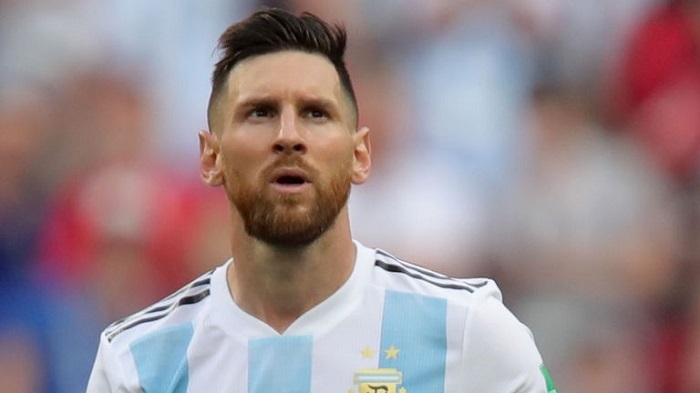 Messi announced his retirement from international football in 2016 before reversing his decision just two months later, citing a "love for the country" as his reason to return.